The latest release of 2.1.6+ of EasyCart now includes a great new and powerful payment processor that is our new favorite. The Stripe payment gateway solution is now complete and we included a full subscription/membership system into EasyCart as well. Now you can offer a recurring payment product to your customers and they can signup directly on your site. All payment information is synced up with the Stripe payment processor and allows complete customer and administrative control. 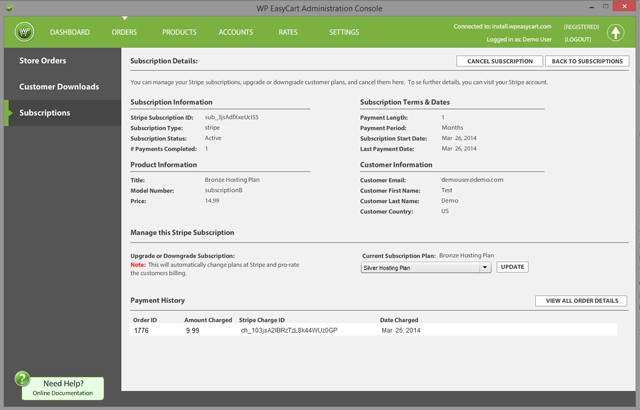 From EasyCart, creating a subscription is as easy as setting up any product. Simply check that it is a subscription, pick how often you want the recurring payments to occur, pick a url if you like for them to access membership content (optional), and whether there is a trial period and the EasyCart system does the rest. Customers will see the subscription product like any other product, except they will see a ‘Sing Up Now’ button instead of ‘Add to Cart’ button. Once users sign up, information is approved by Stripe and the subscription is placed into the EasyCart subscription system along with their first order being placed. Each recurring payment will appear as an order in your system. EasyCart administrative tools are completely integrated to communicate with Stripe and allows you to pull up subscriptions, upgrade or downgrade customers, cancel their memberships, and review all related information regarding their subscription. 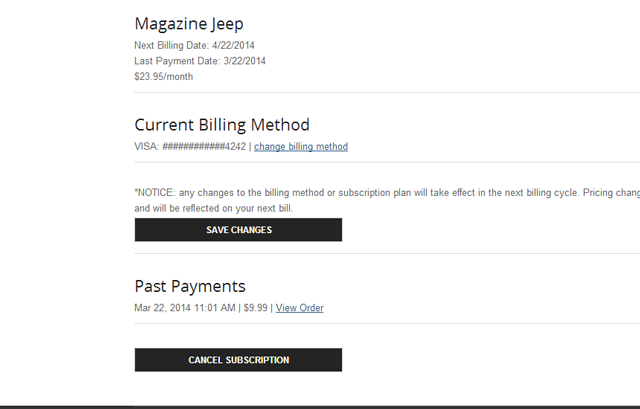 You can also see a quick payment history of their subscription. Customers also have access to a complete subscription management area from within their account. Customers can quickly update their credit card information, upgrade or downgrade their subscription, change billing address information, and/or cancel their membership at anytime. This gives you the store owner less support and interaction with members as they can do all administrative tasks directly from their account. 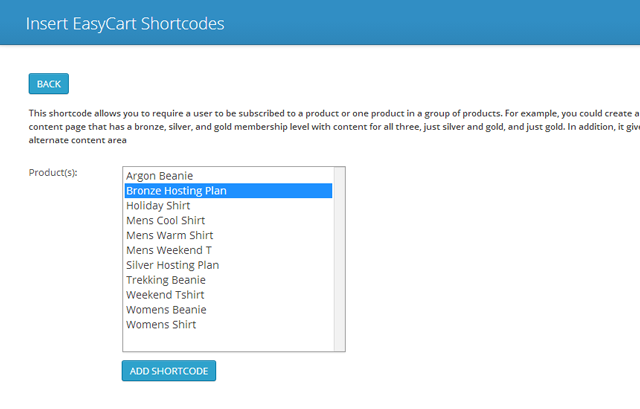 One of the great features we offer with our subscription services is an easy to setup membership area system. 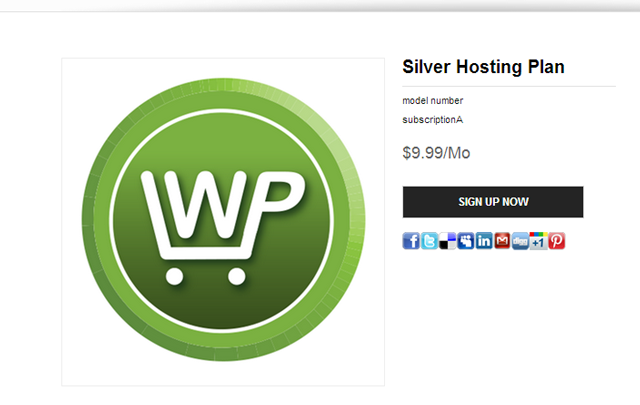 Simply create a new WordPress page, apply our members only shortcode, and then only logged in subscribers can access the new content. This makes a great way for you to feed membership content to customers who have purchased a subscription if that is required by your business. Join thousands who receive our eCommerce and EasyCart newsletters! Update includes new promotion and several improvements! Check out the new advanced option logic! What’s New in EasyCart 4.1.15? Last Week to Save – Spring Break Sale – 10% OFF! Sell on Facebook & Instagram Now! Get $5000 in Free Processing with Square! 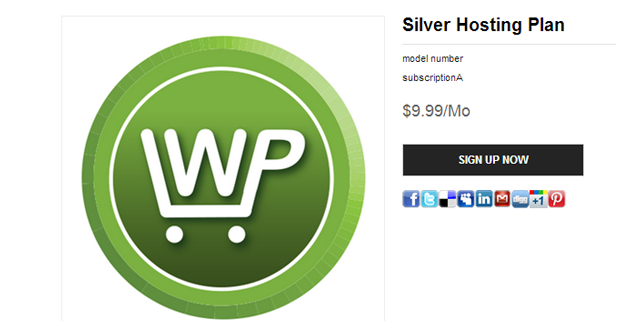 Three Affiliate Programs to use with your WP EasyCart! New Year, New eCommerce Update! How to achieve reliable email using WordPress to send order confirmations and other emails on your website.